Awareness is important — people need to know and acknowledge and understand — but at a certain point, it’s time to act. That’s what Ken Dryden decided two years ago when he started writing the book he published earlier this fall, Game Change: The Life and Death of Steve Montador, and the Future of Hockey. 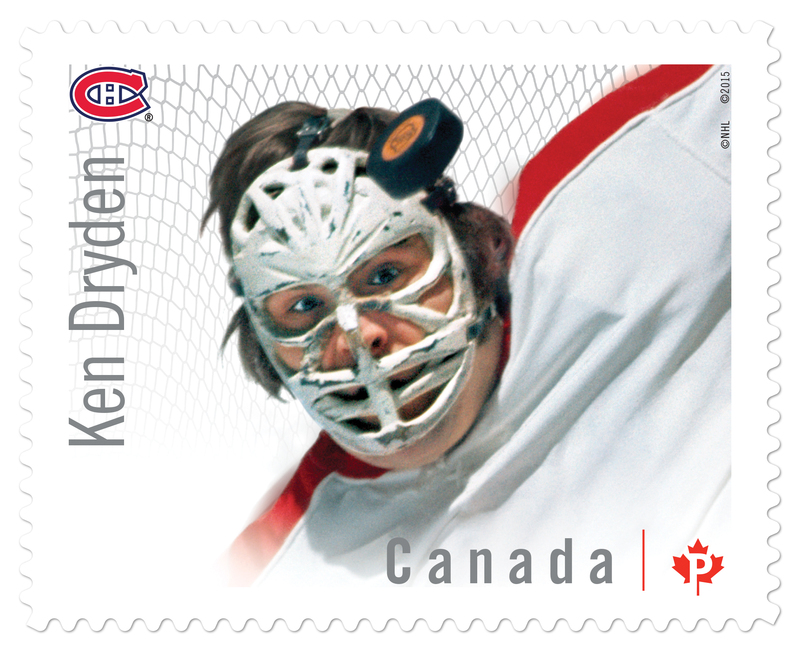 A Hall-of Famer and six-time Stanley Cup champion with the Montreal Canadiens, Dryden, who’s 70, was one of 15 goaltenders to be named earlier this year to the NHL’s pantheon of 100 Greatest Players. In the years since he retired from the Canadiens, he has served as president of the Toronto Maple Leafs and as a cabinet minister in Canada’s government. He’s never stopped thinking and writing about hockey. The book he wrote soon after he retired from the NHL, The Game (1983), may be the most insightful reflection on the sport ever published. As the league continues to celebrate its centennial season this year, Dryden’s focus is now locked on hockey’s response to concussions and their devastating effects on the lives of its players. For too long, he believes, the NHL has failed to act decisively, content to let awareness be its watchword, and to treat brain injuries as issues to be rationalized and managed. 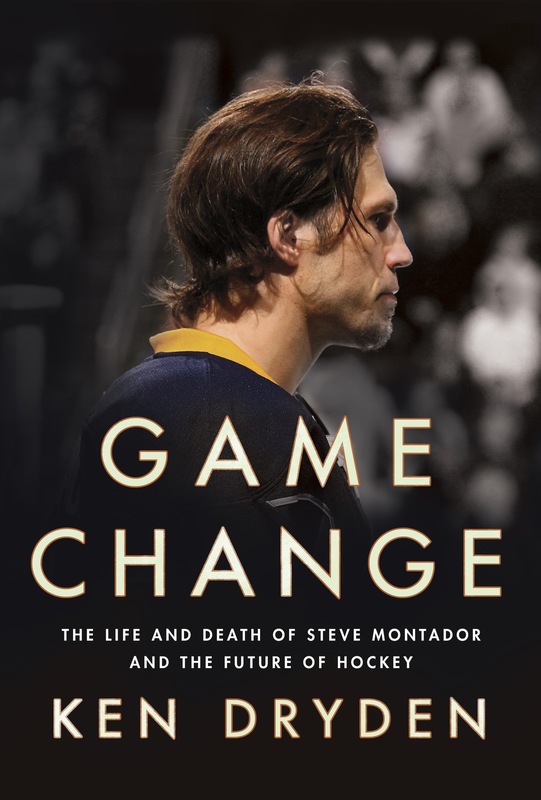 In Game Change, Dryden investigates the career of Steve Montador, a tough and capable, salt-of-the-ice journeyman defenceman who played for six NHL teams. “Hard-trying,” Dryden calls him, with respect; Montador prided himself on the importance of being “a good teammate.” Beloved by those who knew him, he saw his career ended by concussions —seven of them, at least, and probably more. After struggles with addictions, Montador died in 2015 at the age of 35. Post-mortem studies of his brain revealed that at the time of his death Montador was suffering from the effects of chronic traumatic encephalopathy (CTE). 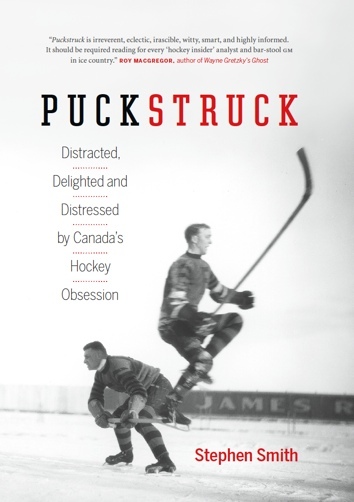 The book also skates deep into hockey history: underlying Montador’s story is Dryden’s compelling and comprehensive case on just how, for reasons cultural and otherwise, the game has failed to adapt to its own evolution in pace and equipment and tactics. For Dryden, it all comes down to this: now is the time for hockey to eliminate hits to the head outright, and NHL commissioner Gary Bettman is the only man who can make that happen. He’s called it a “test” — for himself, for Bettman, for hockey. And so in September, Dryden flew from his home in Toronto to New York to carry that message, along with his book, to Bettman. They met for lunch. In December, Ken Dryden sat down in Toronto to talk about Game Change and his vision for hockey. How did it go, that meeting with Gary Bettman? It was a good lunch. We’ve known each other for a long time, we’ve worked together. I think we each know how the other thinks, and does things. I introduced it as a serious book about a serious subject and the next few months will be a challenge for both of us. But a worthwhile challenge. I just told him about what was in the book. I told him that he was the first person to receive a final copy of the book. He said he would read it. I wanted to write about somebody who was an Everyman player. I didn’t want somebody who was a superstar, who was too unique and unrelatable in that way. And I didn’t want somebody who was a fighter-goon, for the same reason. I wanted somebody who, when people read about Steve, they would see themselves, see their kids. Coaches would see their players. He was somebody a lot like them. And whose experience was a lot like theirs. He was somebody who was not dismissible. You’ve talked about what you’re trying to say in your title: not just that the game needs to change, but how it has been changing, always, and keeps changing. Is that why you think this all so eminently do-able? It’s one change that’s needed: no hits to the head, no excuses. You can think about dealing with it as a revolutionary change, or you can think about it as an incremental and really evolutionary change. Right from the beginning of hockey, we’ve recognized the danger of hits to the head. We created high-sticking penalties, we created the elbowing penalty. As you point out, Gary Bettman never played the game. But he is surrounded in the NHL head office by plenty of smart, committed people who did play. Why haven’t they recognized the problems you’re identifying. What’s kept them from urging the changes you’re advocating? They haven’t played this game. We know what we’ve learned, we’ve know what we’ve heard, and we tend to then apply both, as if everything else were constant. The myth and lore of a game like hockey is very difficult to undo and rewrite. And whether it’s in hockey, sports, or climate change — anything — we all have a certain set of understandings. We’re comfortable with them. We always believed in them, and believed deeply. In order to get somewhere and change circumstances, you have to undo a set of understandings that are already in place. All we need to do is just see, see the game that’s there on the ice. And it’s a game that’s played with far greater skill than was the case in the past. Players are faster, they’re using lighter sticks, which become precision instruments in their hands, so they’re developing a dexterity that in turn pushes their creative minds. And in the game now, the idea is not to go in straight lines, you go to open ice wherever open ice is, and so the pass is more important than the rush. All of a sudden you’ve got this incredible freedom, this possibility. The excitement with which people talk about Connor McDavid and Auston Matthews — that’s how they play. That is the game that has emerged, and it’s the game that’s being developed and understood by 10-year-olds and 12-year-olds everywhere in the world. Yes. But a bottom-up movement is not going to change things as much or as quickly as needs to happen. But I think that what it means to that decision-maker at the top is important: he can feel a kind of confidence that in fact a decision that he would make about hits to the head would be understood and accepted. The conditions are present. You haven’t heard back from the commissioner yet. Not to doubt or pre-judge him, but what if he doesn’t see what you’re seeing as quickly as you’d hope for? Does the challenge — and your campaign for change — simply continue? Something that’s been so powerful for me on my book tour has been talking to the hockey guys, the sports guys on the all-sports radio stations: a lot of them are thinking in these directions. This is not a matter of starting at zero and trying to argue or persuade your way to 100, they’re already at 60 or 70. They see the problem. And so do people in the game I’ve been hearing from.